We recently got a griddle as a wedding present and it’s been perfect because now we can cook at least four pancakes at a time, instead of just one. If you don’t have a griddle I highly recommend getting one for weekend brunching ease. Lately I’ve been enjoying Simple Mills Pancake & Waffle Mix— not only are they a Chicago based brand (go Chicago go!) 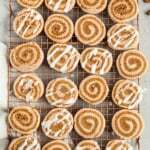 but have simple, clean gluten free ingredients: almond flour, arrowroot powder, coconut sugar, coconut flour, cream of tartar, baking soda and salt. Seriously, that’s it! And guess what? 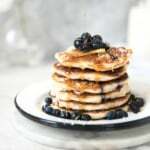 They’re amazingly fluffy and taste just like regular pancakes which can be hard to accomplish when you are making grain free or gluten free pancakes. Anyway, I wanted to do something cute and fun that’s perfect for making with the kids, or just having a good time entertaining yourself in the kitchen as an adult. 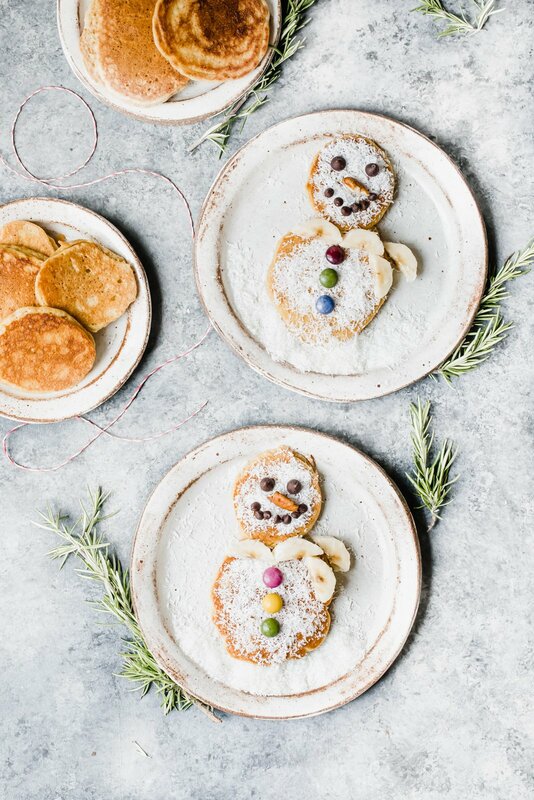 So meet my cute, adorable snowman pancakes. Chocolate chips for eyes, candies for buttons, banana scarf and a pecan nose. Oh and a snowy coconut background too. I hope this gives you some inspiration to have a fun, festive breakfast with your family or friends this holiday season. And of course, to try out Simple Mills if you see it at the store. We love it here at my house (especially their Chocolate Muffin and Cake Mix + Chocolate Frosting) — try it in these brownies I made last year. xo! 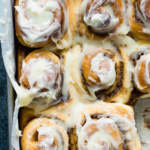 I hope you love this recipe as much as we do. If you make it, be sure to let me know by tagging #ambitiouskitchen on Instagram. 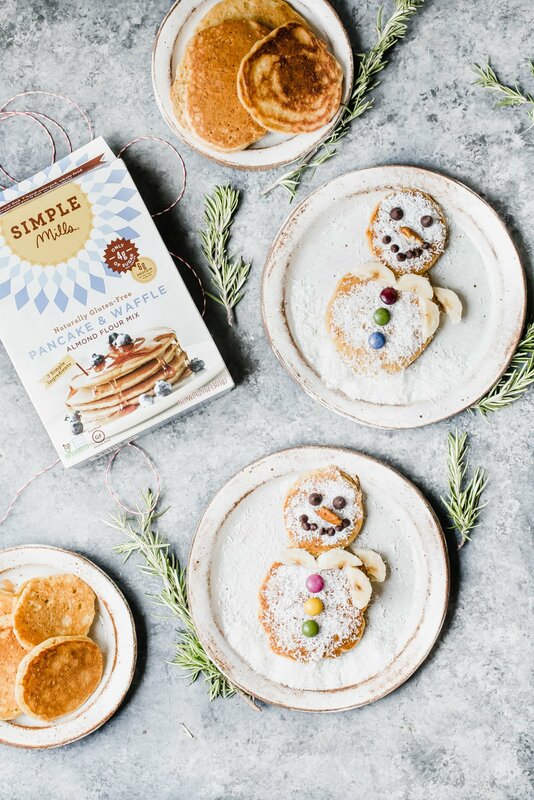 Grain free snowman pancakes made with Simple Mills Pancake & Waffles mix. A cute and festive breakfast during the holiday season and perfect to make with kids -- this recipe is in partnership with Simple Mills. In a large bowl mix together 1 cup Simple Mills mix, eggs, almond milk, and coconut oil until well combined. Heat a lightly oiled griddle or skillet on medium heat. 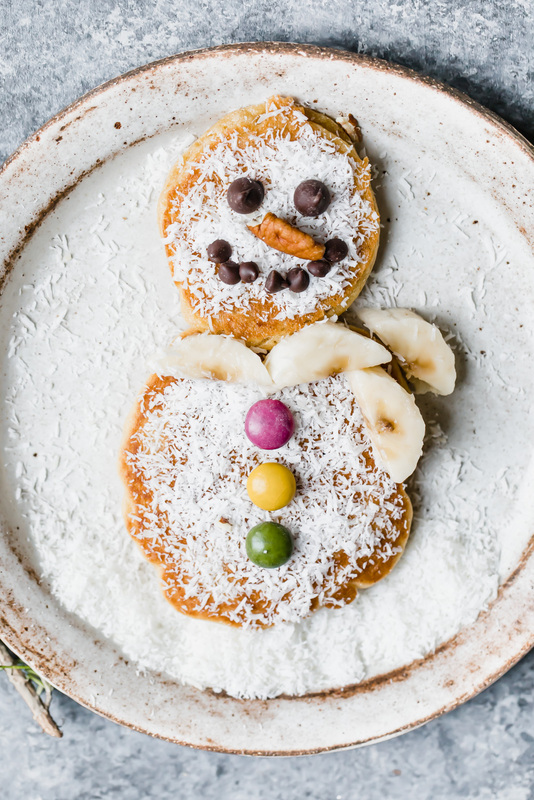 Pour 2 tablespoons of batter onto griddle for the snowman body pancake, and pour 1 tablespoon of batter onto griddle for the snowman head. Cook until pancake begins to bubble and the other side turns golden brown. 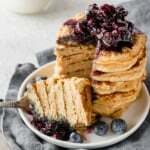 Flip pancake and cook until pancake is golden brown on both sides. Repeat the above steps to make 4 total snowmen (a head + a body). 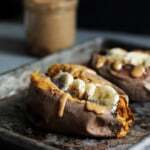 This recipe is in partnership with Simple Mills, a brand I know, trust and recommend. Thanks for supporting AK and the brands that help make this site possible. 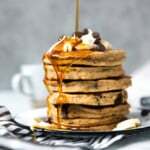 9 Responses to "Grain Free Snowman Pancakes"
Love the snowmans! I love Simple Mills! 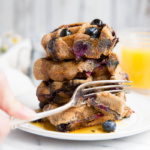 I add some pumpkin to their waffle mix and made pumpkin waffles, easy peasy!